9th Place Finish On The Weekend. Pitt takes on North Carolina for the first time in 8 years. A fun and competitive game to end a great weekend of events. The old men edging out the young boys at the very end. Look out for alumni weekend information in the near future: Planning on having the event on homecoming weekend. Hail to Pitt! En Sabah Nur traveled out west, flying business casual as usual, to San Francisco for this year’s Stanford Invite, a tournament that the team won last year. Due to multiple storms in the Bay Area in the days leading up to the tournament, the tournament site was moved from the Fremont Sports Complex, a short drive from San Francisco, to the backup fields in Stevinson, CA, a full two hours out of the way. The backup fields famously hosted the 2014 Stanford Invite in 30-40 MPH crosswinds. Luckily, this year’s tournament featured much tamer weather than 30-40 MPH crosswinds, but, like Queen City, the weather did not cooperate as well as the team would have liked. We faced BYU in its first game on a cold, sunny Saturday morning. BYU has garnered a lot of hype due to consistent play with some statement wins, however they are unable to play on Sundays because of religious reasons. Nonetheless, we played them as they would any other opponent. We broke early to take the lead, only to have BYU come back and break for half to put the game back on serve. Out of half, the teams traded points to 9-9 (games were to 13 all weekend). BYU played a lot of zone to stagnate our O-line cutters and force a lot of passes, but the O-line remained composed. Then the break train came in hot. En Sabah Nur’s starting D-line turned up the pressure and forced BYU into a lot of bad huck looks as the game entered crunch time. On the final four points, we broke four times in a row to win the game 13-9. In the second game of the day, we faced Cal UGMO. In a somewhat sloppy first half for both teams, with 5 total breaks, we broke for half when, for the second year in a row, it started hailing and play was delayed for 30 minutes. After the hail and lightning delay, Pitt came out hot in the second half to take the victory 13-9. 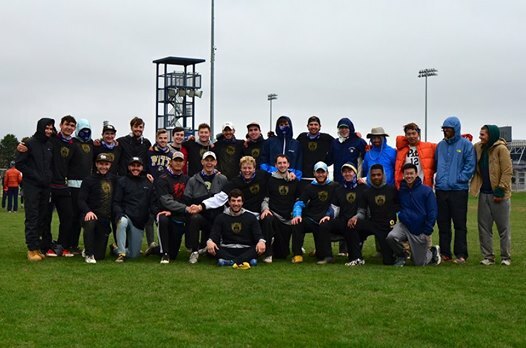 In the final game of pool play, Pitt faced a tough matchup against North Carolina Darkside. In intermittent rain and increasing wind speeds, the O-line struggled against UNC’s tight defensive pressure and we fell into a 3-8 deficit after getting broken out of half. We were able to grind out breaks in the second half, but consistent offense from UNC earned them the win 8-13. Due to the weather delays, prequarters were moved to Sunday morning, when we faced Colorado Mamabird in a rematch of last year’s final. With an emphasis on staying up and keeping energy high for a full game, Pitt played its most complete game of the weekend to win 13-10. Highlights included fifth-year Dillon Tranquillo going full Jumpman and skying a pack of three taller Colorado players for a break. In quarterfinals, Pitt played Washington in a hotly contested game with a lot of zone thrown as the wind increased. Both lines struggled on offense, with the D-line failing to convert and the O-line stagnating against Washington’s zone. In the end, Washington broke consecutively out of half to take the lead and went on to win 10-13. We started off hot in our first game of the day against UCF. After trading holds for the first few points, we broke three times in a row to go into half up 8-5. From there we rolled through the rattled UCF offense, winning the game convincingly, 15-10 after a 0 break game from the O-line. The second game of the day was against the 1-seed in our pool, Carleton. After giving up a few early breaks, En Sabah Nur held their composure to earn a couple breaks back. Carleton managed to break again, making the halftime score 5-8 bad guys. The second half was more of the same, with the final score being 10-15. Although the team took the loss to the defending National Champions, the coaching staff is confident that we can give them a run for their money if we’re to meet again in the postseason. Our biggest game of the day was against an (at the time) undefeated UNC-Wilmington team. In a matchup that always seems to lead to an exciting finish, this game was no different. After giving up a few early breaks, the team was facing a 3-7 deficit. The boys’ confidence never wavered, and after a huge break lead by D-line stud Dan Goldstein, the defense began to roll. The score going into half was back on serve, 7-8 Wilmington. The 2nd half was tight the whole way. Wilmington had several opportunities to break the En Sabah Nur O-line, but big plays by key players kept us in the game, including a point block Callahan by Jonah Wisch. A late-game break by Goldy turned the tides in our favor, making the score 11-10. From then on, both teams held, and The Program won another classic game on double game point, 13-12. The team ended the day with a 3-1 record, earning themselves the 2-seed in the pool and a spot in the quarterfinals against the #1 overall seed in UNC. The boys didn’t seem worried at all and came out firing, getting a 4-1 lead after some high-pressure D seemed to rattle UNC. Huge performances by players on both lines lead to a Pittsburgh lead at half, 8-5. The second half was cause of much stress, as UNC clawed their way back into the game, leading to another double game point. The coaching staff put out a kill line for the final point of the game, and they worked it down the field with ease, eventually punching in the goal to take the win. 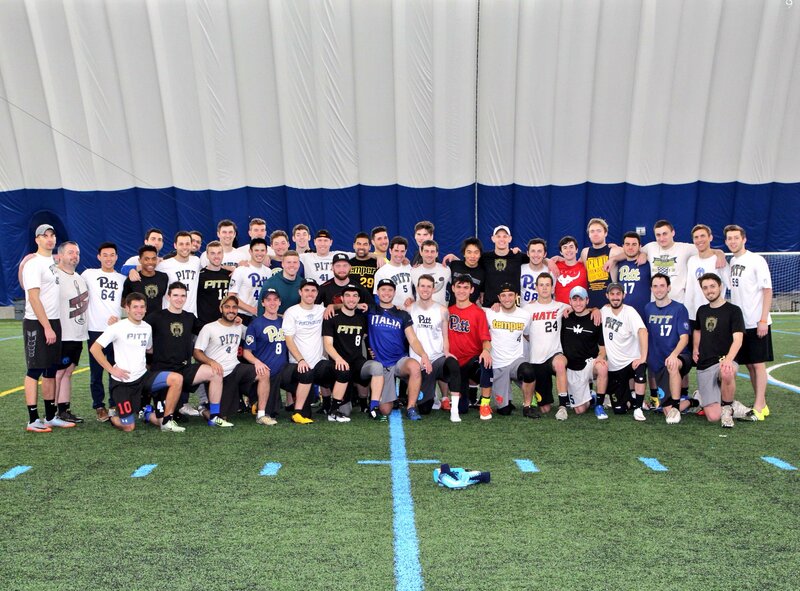 Performances by veterans Jonah Wisch and Kyle Hartley, as well as rookie Marcel Oliart, were key to the team’s big win over the undefeated Darkside team. Pitt went on to beat a fiery Auburn team to take 3rd place in the tournament. Against CMU, we came out hot and held a comfortable lead into half, riding it out to a 13-9 win. We played well but knew we needed to keep improving as we expected to see them again in the finals. On Sunday, the temperatures dipped down to the low 40s with frequent gusts of wind. Despite the weather change, the boys took care of business against Penn State. En Sabah Nur met CMU once again. We came out hot to take a 7-1 lead, but staggered and came into half at 8-5. We struggled with the wind and CMU clawed back to make it 10-9. To close out the game, the D-line, and Leo Warren especially, went to work and we rode the break train to win the game and section 15-10. Congratulations to the all the Ohio Valley teams on great seasons! ESN takes the region once again. Pitt B traded hold for teh majority of the first half. Coming out of half in both games, we turned it up and strung off breaks to close out the day. Jonah was a rock in the backfield all day. He constantly got open upline with his signature box out move for key goals and also turned it up on D to shut down handlers and even scored a layout Callahan. In semis, we faced Villanova, who have been trending up since former En Sabah Nur player, “Jersey” Dan Wickens took the reigns as head coach. Early in the game, we struggled to minimize their star player’s impact, and they kept converting to make it 6-6. After a bad bid into Jonah and some on-field drama, we used that fire to do score eight in a row. Matt Hanna and Goldy were huge for the D-line as they figured out Nova’s offense and clamped their top guys. We closed the game out with the O-line’s first point of the second half to win 15-7. In finals, we faced CMU yet again for a ticket to the Big Dance in Milwaukee. In our fourth meeting of the season, CMU brought the competition to us. They broke on the first point, but it was the only time they would lead all game. Kyle, Marcel, and Goldy put up huge performances for the squad in the final. Goldy had an unreal upline D where contorted his body around their guy to make the play. CMU kept it close all the way to cap, but The Program remained in control to win the Ohio Valley and claim our hard earned bid to Nationals. 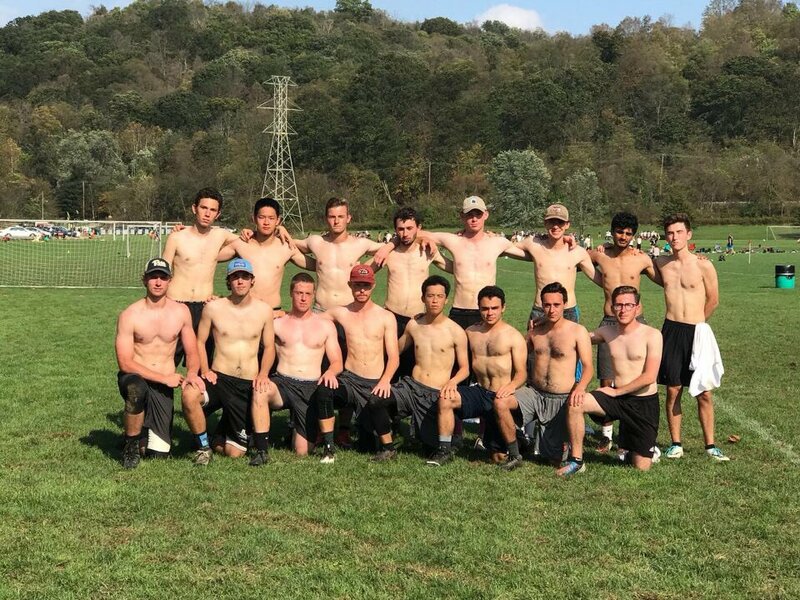 The “Baddest Men Alive” finish the Pitt 2018 Season with their strongest performance yet! Peaking at just the right time to make a run deep into the tournament and finishing 2nd in the nation! Sporting our new hardware and custom Sabah Jerseys! 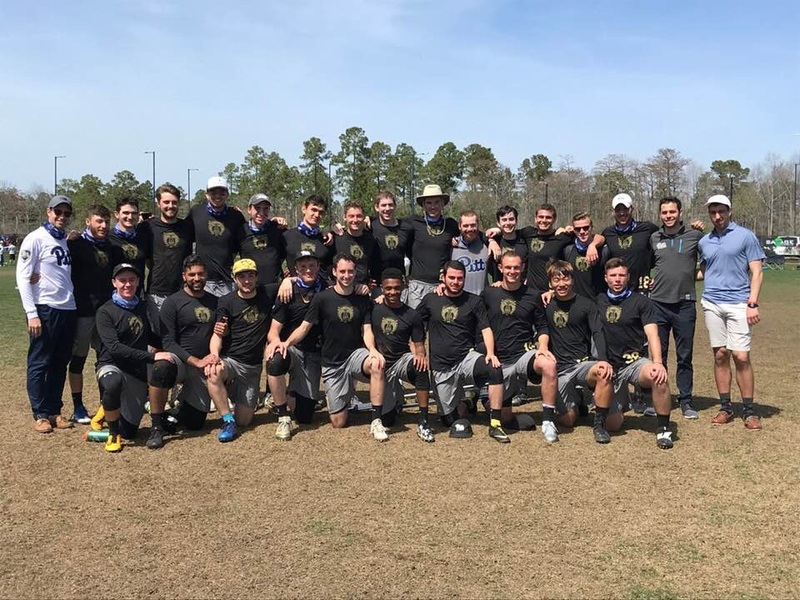 In the biggest surprise at the men’s College Championships, Pittsburgh En Sabah Nur advanced to the final on Sunday night with a 15-11 win over top-seeded Carleton. 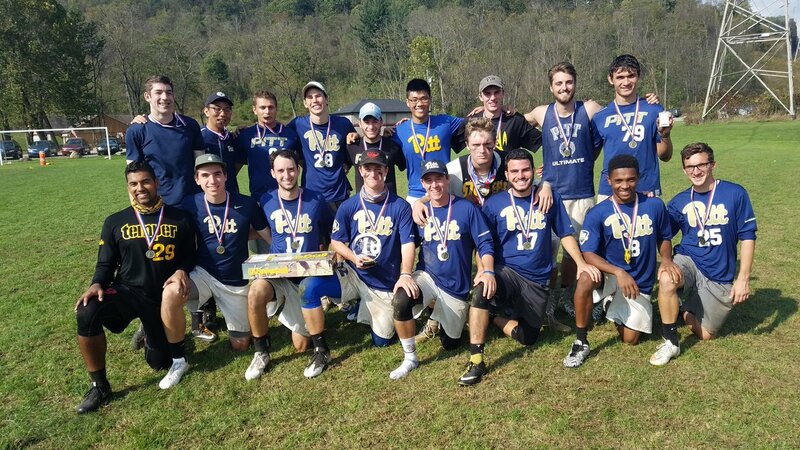 The upset ends Carleton’s chance for a title repeat and sends the upstart Pitt team into a championship showdown with North Carolina Darkside. The first point was emblematic of the entire contest, but, at the time, it was just Pitt finding a flow against the CUT defense. Mike Ing boxed out Tim Schoch and went up for the 1-0 hold. The defense was tight, but Pitt’s best were just too good. CUT scored an early break, but the Pitt response made the lead short lived. For most of the first half, the game was a tight contest that featured freshman playing the biggest game of their young careers. CUT appeared to have that facet of the game won when freshman Harry Wolff Landau showed a burst of speed to outrun Pitt rookie Harry McNamara for the 5-5 goal. The goal felt quintessentially Carleton. Dillon Lanier had his fourth assist of their first five scores, and a speedy freshman shone bright in the high pressure moment. Those who know what CUT has been able to do this season felt that the run might be coming for the favorites. But Pitt’s mentality kept them focused on the task at hand, and they weren’t about to shy away from a fight. With the 6-5 lead, Ing took over the game. A few Carleton turns offered Pitt an opportunity, and he took advantage with a big sky for the 7-5 lead. It was the first time in the game that Pitt was up a break. Pitt had failed to capitalize on break chances earlier in the game, lacking offensive firepower. But with Ing in the game, the offense felt different, and it was. Carleton had two chances to get the break back in the first half, both inside the red zone. First, Joe White threw a scoober into the ground. Then, Alex Olson led Eric Taylor way too much on a backhand. Pittsburgh held for the 8-6 halftime lead on a walkoff lefty backhand from Jonah Wisch. The missed opportunities brought the first sense of panic to the CUT faithful. Some offensive miscues that didn’t carry much weight earlier in the week were now being exploited by an explosive team with superior intensity. Out of half, CUT was just as efficient as they were in the early goings. Henry Fisher got on the board with a goal, if only to show how relatively quiet he’d been up to that point. Despite the cleaner looks, they still needed a break to get back into it. Enter Noah Robinson, whose second half performance slammed the door shut on any potential Pitt offensive miscues. A sky over two CUT defenders for the 10-8 lead was one of his four second half goals. Only a moment later, Dillon Tranquillo registered a huge layout block that set up a quick Pitt break. The energy of Carleton had been sapped and it would never come back. Robinson, standing out as the best deep cutter in the game, dominated the final moments, with a big sky in between Joe White and Eric Taylor for the 14-10 lead. Carleton forced him under on the final point in hopes of keeping him out of the end zone, but Robinson’s smooth huck to Matt Hanna sealed the 15-11 upset. Pitt has come a long way since their early season struggles. 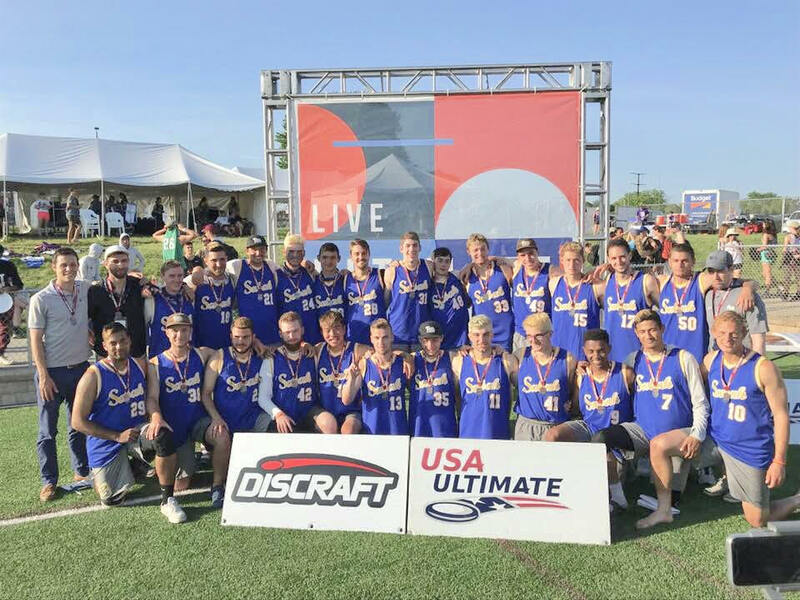 A win over UNC at Easterns gave them belief, and they pushed a new identity all the way to a national final. It was sunny. The team finished 11th and another season begins…. The Pitt B Bad Boys return to Tampa and come out with a second place finish. The Pitt B Sad Boys Travel to Columbus for some good BBQ and some better games. Pitt-B sweeps the competition, going 6-0, to claim it’s 4th Straight bid to Ohio Valley D1 Regionals! Thank you to all our supporters for following along this season! We finished 15th in a very competitive Ohio Valley this year! Look for the 2018-2019 Bad/Sad Boys to make another deep regional run!